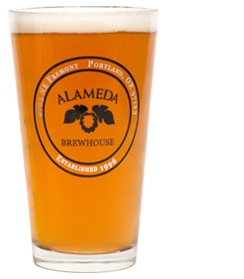 Yellow Wolf Imperial IPA (on nitro) – Alameda With over 100 IBUs Yellow Wolf has enough eye-popping intensity to satisfy even the most ardent hopheads. It has bright piney nose and light golden color. We suggest pairing it with sunshine.